Environmental Art programs at Bournda have been specifically designed to assist students in learning about their natural environment. The following art activities have been developed for Stage 3 students. 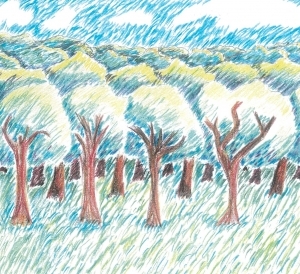 A drawing exploring the complexities of the forest using colour, overlapping shapes and changing tonal values to create a feeling of depth and distance. 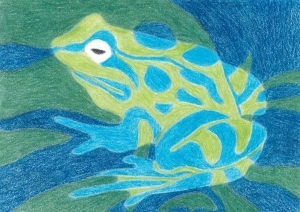 An exercise using colour, tone and shape to show frogs camouflaged in their habitat. 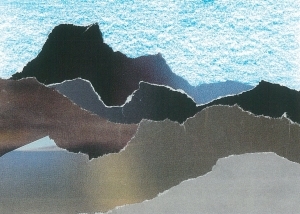 Makes artworks for different audiences assembling materials in a variety of ways.